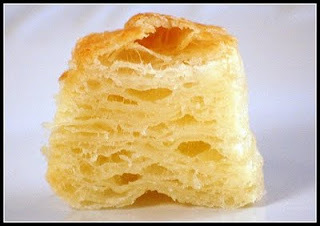 Puff pastry is a light flaky pastry that is formed by rolling and folding dough in layers so that it expands when baked. A series of folds is called a turn and you need to make several turns in order to get all the beautiful layers to achieve a good PUFF! When I took my puff pastry class at George Brown College, I was lucky to have a partner Joe, who was experienced at making puff pastry. Our edges had to be perfectly straight and our folds perfectly neat on each turn. In class we had quite a large quantity of dough so rolling it out was exhausting but I had Joe! YAY!!! This batch was much easier since it was a much smaller quantity, but it didn't turn out as well as I would have liked. I was rushing a bit and this is not a dough you rush with as it needs chilling between turns. Oh well....next time it will be better. There is a lot you can do with Puff Pastry - from cheese straws to apricot pastries to delicious appetizers. They are all very yummy! The Daring Bakers are making puff pastry from scratch this month but you can cheat ...shhhhhh...and buy puff pastry frozen. It is fun to make it though because it really does feel like an accomplishment when it comes out of the oven all puffed up. The September 2009 Daring Baker's Challenge was hosted by Steph of a Whisk and a Spoon. 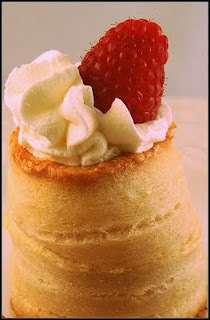 She chose the French treat, Vols-au-Vent based on the Puff Pastry recipe by Michel Richard from the cookbook "Baking With Julia" by Dorie Greenspan. 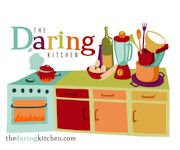 Here is a wonderful on-line video from the PBS show "Baking with Julia" that demonstrates the folding and turning of the dough and here is also a link to the recipe. 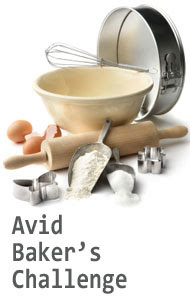 Now get out your rolling pin and start rolling! I remember making puff pastry in class! But I couldn't stand that "stuff" they made us use instead of butter ... ewww! Glad you enjoyed making the puff. Yes that "stuff" was so disgusting I don't think any of us wanted to eat the pastry!